Competition among plastic surgery practices has always been tough. But the scale has reset to an even higher marker—from “tough” to “really intense”—as individual providers and medical groups are serious about winning new patients. Consider how prospective, self-referred patients are now informed consumers, vigorously researching and comparing physician/provider options for plastic, cosmetic and aesthetic procedures, services and products. Discretionary spending for elective care is tight; cautiously evaluated for surgical, minimally invasive and non-surgical options. And the good-news-bad-news, for both patient and provider, is the nearly overwhelming jungle of resources to be found online. Virtually, TMI –Too Much Information—for the prospective patient “shopping” for providers and services such as a “mommy makeover,” facelift, liposuction or breast reduction/augmentation. For plastic surgeons or plastic surgery practices, marketing differentiation is complex and challenging. How to standout in the online crowd? How does today’s consumer differentiate among an expanding pool of options that include cosmetic ophthalmology, OB/GYN, and ENT practices, general surgeons, medical spas and commercially promoted OTC products? Adding to this bewildering info-overload, the prospective patient must sort through non-surgical, laser and other procedures such as Botox injections, hair transplants or removals, spider vein treatment or tattoo removal. A primary objective, and the pathway to boosting new patient response, is to effectively differentiate your practice—and to do it better than the crowded competitive field. Most plastic surgery practices have a marketing plan in place, but for many, it is no longer producing the level of results that it should. It’s time for a serious tune-up. Think “Internet Presence.” A website alone doesn’t cut it. The Internet is the consumer’s main research tool, but “being found” online means using multiple tools, and not just a website. Online searches deliver results that include website, blog, social media, and other keyword-oriented “tripwires.” The visitor might discover your professional credentials via LinkedIn, for example, and your authoritative content by way of a Facebook post. And these (and others) connect to your primary website message. Revisit (and possibly re-do) your website. The incredible and distinctive website that you created a couple years ago (seriously, it’s been three or four years), is now a digital dinosaur. On the plus side, rebuilding for greater effectiveness can now be done with vastly superior tools and technology that are faster, smarter and easier to use. An effective new website can be visually impressive, Search Engine Optimization (SEO) –smart, mobile compatible, and deliver an engaging user experience. Talk to me about your blog. 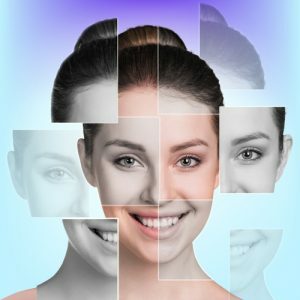 Attracting an audience and building a trusting relationship via plastic surgery marketing requires thoughtful, useful and shareable content. Creating a blog, with regular articles and updates, can set you and your practice ahead of the competition. Timely and authoritative articles not only provide information, they open an emotional connection between the author and the reader. Relevant and interesting content is engaging, and a serious boost to your SEO/Internet Presence. Expert. Authority. Professional Reputation. Consistently delivering meaningful social media messages—via blog, Facebook, Twitter, LinkedIn and others—also presents your expertise as a respected and authoritative professional. Telling (and not selling) enhances your personal and professional reputation (without a sense of “blowing your own horn.”) The cumulative effect can result in individual and professional referrals and the respect of peers. Reach out for experienced, third party professional help. These tactics are a good starting point, but there’s a lot more to engineering a comprehensive plastic surgery marketing plan. And, if this short list seems like increased demands on your time, it just might be. Consider the fact that your competition is probably channeling new and impressive resources into growing their market share. What’s more, they are probably using professional marketing and advertising help in their effort to be the winner. The post 5 Plastic Surgery Marketing Tactics to Boost New Patient Response appeared first on Healthcare Success.